Successful RF design must pay careful attention to every step and every detail of the entire design process, which means thorough and careful planning must be carried out at the beginning of the design, and a comprehensive and continuous assessment of the progress of each design step must be carried out. . This meticulous design technique is lacking in most domestic electronics cultures. In recent years, due to the demand and growth of Bluetooth devices, wireless local area network (WLAN) devices, and mobile phones, operators have been paying more and more attention to RF circuit design techniques. From the past to the present, RF board design, like electromagnetic interference (EMI) issues, has been the hardest part of engineers, even nightmares. If you want to design successfully once, you must plan carefully and pay attention to details before you can work. Radio frequency (RF) board design is often described as a "black art" because of the many theoretical uncertainties. But this is just a partial view, RF circuit board design still has many rules to follow. However, in practical design, the really practical technique is how to compromise these rules when they cannot be implemented due to various restrictions. Important RF design topics include impedance and impedance matching, insulation materials and laminates, wavelengths and harmonics, etc. This article will focus on various issues related to RF board partition design. 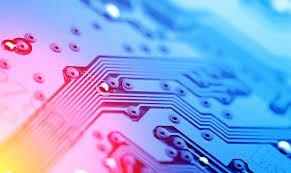 Circuits of different nature on the board must be separated, but connected in the best case without electromagnetic interference, which requires the use of micro via. Typically, the micro via have a diameter of 0.05 mm to 0.20 mm. These via are generally classified into three types, namely, blind via, bury via, and through via. 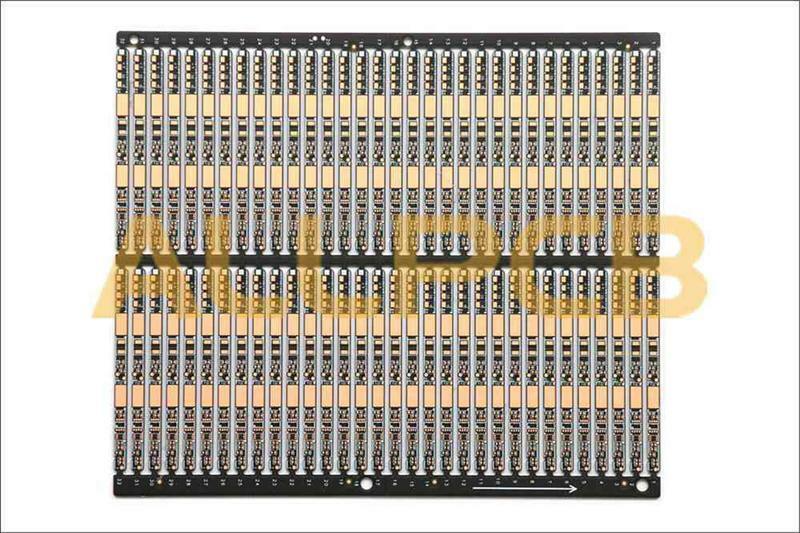 The blind holes are located on the top and bottom surfaces of the printed wiring board and have a depth for the connection of the surface lines and the underlying inner lines, and the depth of the holes usually does not exceed a certain ratio (aperture). Buried hole refers to a connection hole located in the inner layer of the printed wiring board, which does not extend to the surface of the circuit board. Both types of holes are located in the inner layer of the circuit board, and are completed by a through-hole forming process before lamination, and several inner layers may be overlapped during the formation of the via holes. The third type is called a through hole that passes through the entire circuit board and can be used to achieve internal interconnection or as an adhesive positioning hole for the assembly. When designing an RF board, the high-power RF amplifier (HPA) and the low-noise amplifier (LNA) should be isolated as much as possible. Simply put, the high-power RF transmitting circuit is kept away from the low-noise receiving circuit. This can be done easily if there is a lot of space on the PCB. However, when there are many components, the PCB space will become very small, so this is difficult to achieve. You can put them on both sides of the PCB or let them work alternately instead of working at the same time. High power circuits can sometimes also include RF buffers and voltage controlled oscillators (VCOs). Design partitions can be divided into physical partitioning and electrical partitioning. Entity partitioning mainly involves issues such as component placement, orientation, and shielding; electrical partitioning can continue to be divided into power distribution, RF traces, sensitive circuits, and signal, ground, and other partitions. Component placement is the key to achieving an excellent RF design. The most effective technique is to first fix the components on the RF path and adjust their orientation to minimize the length of the RF path. Keep the RF input away from the RF output and keep it as far away as possible from high power circuits and low noise circuits. The most efficient method of board stacking is to place the main ground on the second layer below the surface and walk the RF lines as far as possible on the surface. Minimizing the via size on the RF path not only reduces path inductance, but also reduces the number of dummy pads on the main ground and reduces the chance of RF energy leaking into other areas of the laminate. In physical space, linear circuits like multistage amplifiers are usually sufficient to isolate multiple RF regions from each other, but duplexers, mixers, and IF amplifiers always have multiple RF/IF signals interfering with each other. 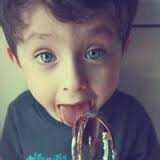 Therefore, this effect must be carefully minimized. RF and IF traces should be crossed as much as possible, and as much as possible at a distance between them. The correct RF path is very important for the performance of the entire PCB, which is why component placement is often the most important part of mobile phone PCB design. 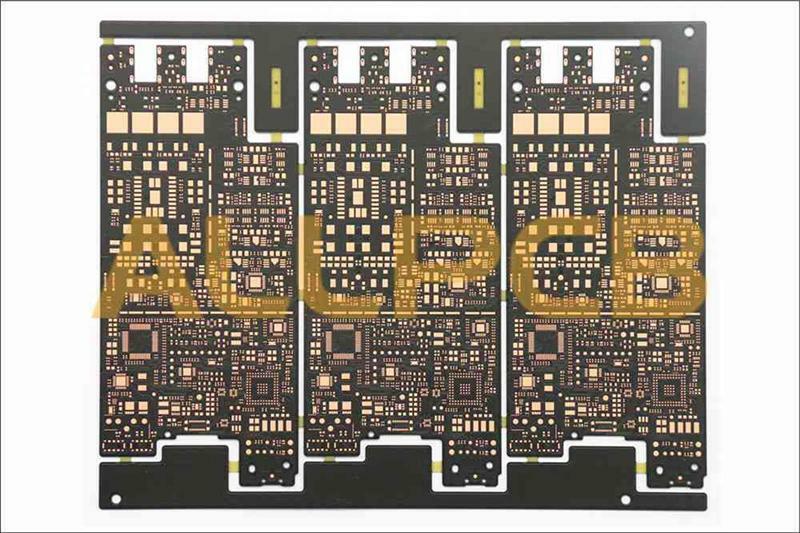 On a mobile phone PCB, it is usually possible to place the low noise amplifier circuit on one side of the PCB, while the high power amplifier is placed on the other side, and finally connect them to the end of the RF antenna on the same side by the duplexer. And the other end of the baseband processor. This requires some skill to ensure that RF energy is not transmitted through via from one side of the board to the other. A common technique is to use blind holes on both sides. The adverse effects of via can be minimized by arranging blind via in areas where both sides of the PCB are immune to RF interference. Sometimes it is not possible to leave enough separation between multiple circuit blocks. In this case, it is necessary to consider shielding the RF energy in the RF area with a metal shield, but the metal shield also has side effects, such as: Both cost and assembly costs are high. Irregular metal shields are difficult to guarantee high precision during manufacture. Rectangular or square metal shields also limit the layout of components; metal shields are not conducive to component replacement and fault displacement; Solder on the ground plane and must be kept at an appropriate distance from the components, thus taking up valuable PCB space. It is very important to ensure the integrity of the metal shield as much as possible, so the digital signal line entering the metal shield should be as far as possible, and it is better to set the next layer of the signal layer as the ground plane. The RF signal line can be routed from the small notch at the bottom of the metal shield and the wiring layer at the grounding notch, but the periphery of the notch should be surrounded by a large grounding area as much as possible. The grounding on different signal layers can be through multiple via connected together. Despite these shortcomings, metal shields are still very effective and often the only solution to isolate critical circuits.